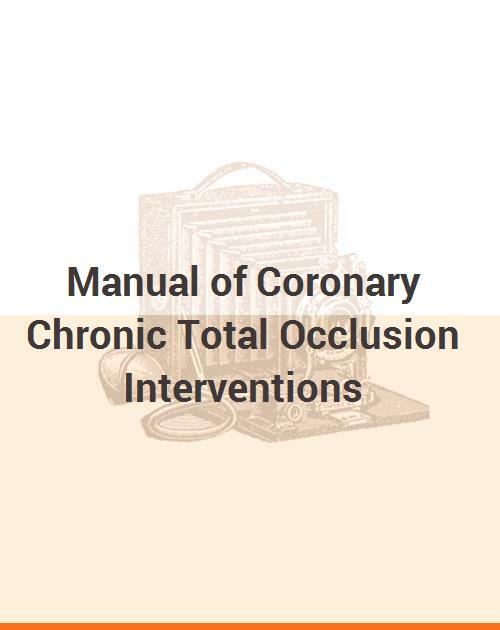 Manual of Coronary Chronic Total Occlusion Interventions: A Step-by-Step Approach is a practical, easy to read reference for coronary chronic total occlusion interventions (CTO). Written by recognized national and international experts in the field, this reference compiles the steps necessary to preform, pitfalls to watch out for, and troubleshooting needed for coronary chronic total occlusion interventions (CTO). A practical, case-oriented and easy to read reference with illustrations and step-by-step guidance for coronary chronic total occlusion interventions (CTO). Includes expert guidance reviewed by leaders in the field with both large clinical experience with high success rates and extensive experience proctoring CTOs in multiple clinical centers. 10.1 Why is Radiation Management Important? Dr. Brilakis is Director of the Center for Complex Coronary Interventions at the Minneapolis Heart Institute and adjunct Professor of Medicine at the University of Texas Southwestern Medical School. After graduating from Lycee Leonin de Patissia, Dr. Brilakis received his medical degree from the National Kapodistrian University of Athens, Greece. He trained in Internal Medicine, Cardiovascular Diseases and Interventional Cardiology at the Mayo Clinic. He also completed a Masters in Clinical Research at the Mayo Clinic and a PhD in Clinical Research at the National Kapodistrian University of Athens, Greece. He served as Director of the VA North Texas Healthcare System Cardiac Catheterization Laboratories from 2004 to 2016. Dr. Brilakis leads a large clinical trial group investigating treatment of chronic total occlusions, prevention and treatment of saphenous vein graft disease, prevention and management of complications, intracoronary imaging, antiplatelet treatment optimization post coronary stenting, radiation safety in the catheterization laboratory, and implementation of novel technologies in healthcare. He is Associate Editor for Circulation and on the editorial board of several other journals, a Trustee of the Society of Cardiovascular Angiography and Interventions and on the Board of Directors of the Cardiovascular Innovations Foundation. He has authored or co-authored over 450 manuscripts and receives funding from the Department of Veterans Affairs and industry. He and is lecturing and proctoring at several institutions in the United States and abroad.